This is a typical Forest Park design, although the bay window on the left side of the house is not as common. 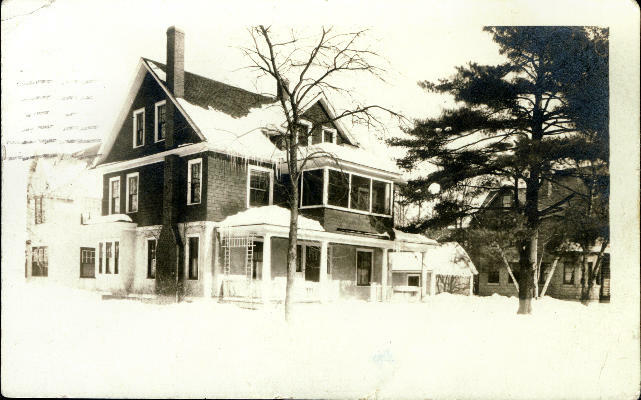 A Douglass Gladden lived at 43 Virginia St. in 1930. Dear Douglass, We haven't got all the snow in this picture yet, but we will have if you don't come home before long. Was delighted to receive your card when I got home from Forbes. The tooth is much better. I hope you are having a peach of a time. Love from Eleanor.